I am an introvert. I could walk alone for a long time and not be lonely at all. It’s not that I don’t love people, because I do. I simply enjoy being alone. 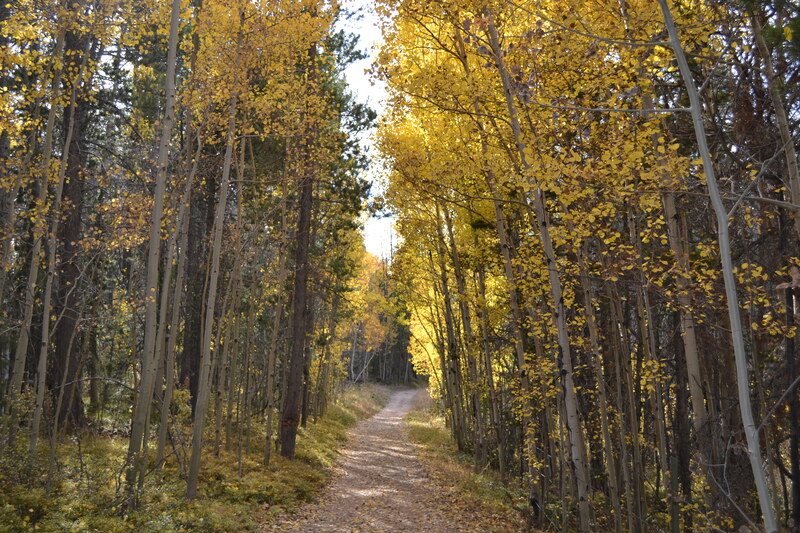 For example, I hiked the beautiful trail in this photo of the Vedauwoo, Wyoming area a few days ago with my husband. I enjoyed his company as we appreciated the changing season together, but I admit I would have enjoyed the walk alone, too. I love solitude and most of the time, there is nothing I don’t like about being an introvert. I’m sure my introvertedness makes it easier for me to be a writer, easier for me to be still and contemplate life, and of course it is one of the reasons I could sit for a few hours just reading a book, or thinking about one. Being an introvert is easy, but it’s not always great when it comes to friendships. I had coffee with a girlfriend the other day and we are both introverts. We don’t have coffee together very often, probably because we aren’t high maintenance friends, but as I sat with her and swapped stories about our lives, I found I’d missed her and told her so. She felt the same way and I had to laugh at us. We always say the same thing, and yet we know it won’t be next week that we get together again, and that’s okay. Isn’t it? Maybe it’s not okay, at least not all the time. As lovers of alone time, it’s easy to separate ourselves from the world and miss out on the fellowship and friendship that humans need. I think women definitely need to make time to hang out more, and not just on the sidelines of the activities our kids are involved in. Seeing my friend the other day definitely made me think about the importance of friendships and how we need to spend some time together to nurture them. It’s okay to walk the path alone in solitude and contemplation, but I’ve been reminded again that sometimes other people are much better company than myself. With it being Fall, I was reminded of this blog post from last October. Autumn weather always makes me want to go for long walks, sometimes with someone else, but my introverted side never minds walking alone.